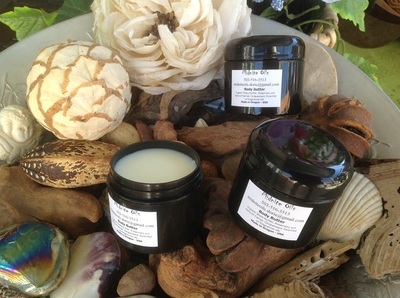 Richly moisturizing and wonderfully nourishing for your skin. 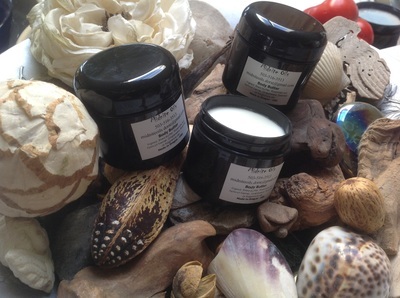 Body butter is made from three fine oils that are noted to be excellent skin rejuvenator. These oils are African Shea Butter extracted from the seed of the Karite tree, Apricot Kernel Oil which is great for any skin type and antioxidant, and rich Grape-seed Oil. These are blended with corn starch to create a silky, emollient butter to leave your skin silky, smooth and hydrated. 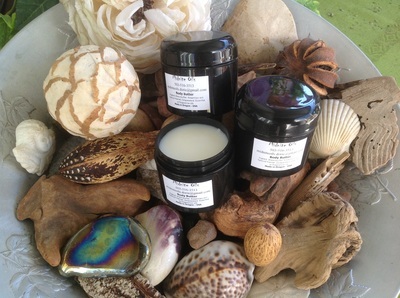 Our butters have no chemicals and therefore will melt like "butter" in warm environments. We recommend a cool place to keep the jar when not in use to extend its shelf life. We have added some wonderful scents but also have a "naked" version for those individuals who cannot wear scents at work or are sensitive to scents.